"A must read for IT salespeople"
Millions of salespeople sell into IT around the world, but few of them actually understand what it's like to be on the other side of the table. This book changes that. The Phoenix Project is a well written story about the rise of Dev-Ops and Agile development in the ashes of the disastrous Phoenix project. 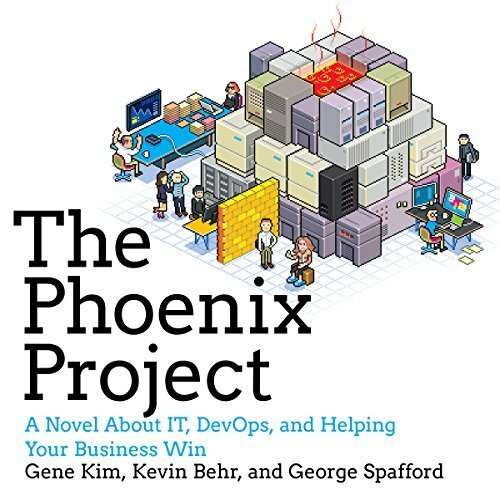 The Phoenix Project story starts by throwing the hero, Bill, into the deep-end of a highly dysfunctional IT shop and tells of his struggle to gain control and visibility over the many characters and uncoordinated IT activities that are killing the company. It follows a hero's journey story arc and Bill is introduced to a new board member, Eric, early in the story. Eric becomes his mentor and sets out operational puzzles for Bill to solve, that slowly reveal to Bill a new way of operating that turns chaos into order, rights the ship, saves IT from being out-sourced and the company from being broken up and results in Bill's promotion to understudy the COO. Bill's mentor, Eric references Eliyahu Goldratt's The Goal in numerous operational problems on the factory floor, that translate into IT workflow constraints and set up the solution to the many problems. Highly entertaining and recommended for non-IT practitioners and salespeople, who want to understand more about the inside workings of an IT shop and in particular how a modern IT shop works. I met a senior architect at CapitalOne yesterday and we discussed the book. He said they are employing all of the best practices ideas discussed in the book and he suggested it was a good read from an insiders perspective as well as for salespeople.